Who’s ready for some Steelers football? 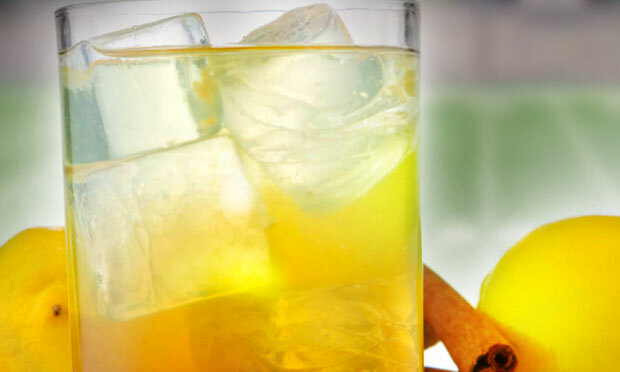 To make this two toned cocktail, we’ll first be making a flavored chai syrup to sink to the bottom of the cocktail. Simply steep 6 chai tea bags in 1 1/4 cup of very hot water for about 10 minutes, then strain and squeeze any remaining liquid from them. Stir in 1 cup of sugar until dissolved and let cool. The chai syrup will keep in the refrigerator for about 2 weeks- if you don’t use it all this Sunday! 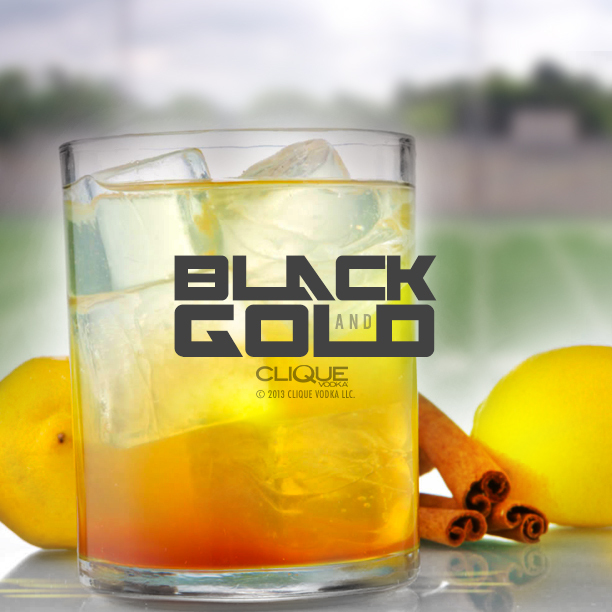 For the “Black n’ Gold” cocktail, pour 1 1/4 oz of Clique Vodka into a short glass with ice, and squeeze in the juice from one whole lemon. Fill with water almost to the top, leaving just enough room to slowly add 1/4 oz of our chai syrup. As you add the chai syrup it will sink down to the bottom of the glass, leaving a perfectly colored “Black n’ Gold” cocktail! Use a straw to stir it up, or leave as is to sport your team colors! Either way the chai spice perfectly accents the tart lemonade, and is the perfect way to transition into fall. 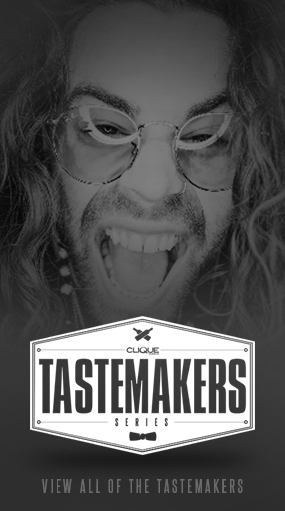 Need another serving suggestion? 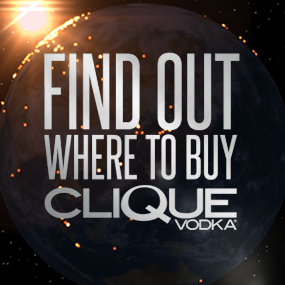 Try making “Black n’ Gold” shooters by shaking 1 oz Clique Vodka and 1/4 oz lemon juice over ice, then strain into shooter glasses. Slowly add 1/4 of the chai syrup so it sinks to the bottom. I’m sure you can figure out the appropriate time to shoot them!